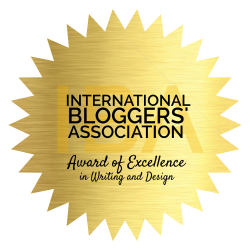 If you are a blogger, you work your tail off. I know you do. There are so many things that need to be done every single day to just tread water. Blog posts, reader engagement, social media, affiliate sales, guest posts, newsletters, roundups, comments, backups and on and on and on. My head is swimming just writing this! Then there are all the behind the scene things that need daily attention. Little things. Important things. I used to work so hard from morning to night and at the end of the day, I would still have tasks that I had completely forgotten to do. I knew I needed to do something to make sure that all the little things were completed every day so I could focus on the big things. One day I finally figured out what I needed in order to put part of my blog on autopilot so I could focus on content and income. It’s simple really. But aren’t those the best ideas? The simple ones? Okay, get ready..drumroll please…here it comes! I created a Daily/Weekly/Monthly Game Plan. It’s so crazy simple, it works. Don’t over think it Blogging BFF’s. I think we tend to do that. 🙂 Keep it simple so it works. So, what is a D/W/M Game Plan? Well, it’s a cheat sheet of all the items that need to be done every single day, week and month on my blog. From recording stats and writing my newsletter to setting up Tailwind for the week and performing my weekly backup. Every single thing is listed no matter how small. I cannot tell you how this one cheat sheet has completely changed things for me. Not only did my productivity increase dramatically, but my blog stats have steadily increased ever since I began using it. And you know what? My income has increased as well. No, really! I have steadily made more money every day since I began using my D/W/M Game Plan sheet. So let’s get to it kids! Let’s increase your productivity to 10! Let’s get you more page views and more revenue, starting right now! Write it down. Take a sheet of paper and do a complete brain dump. Visualize your day and all the things that need to be done on your blog/website. Leave nothing out, not a single thing no matter how much you believe you will remember to do it. Getting each task out of your head in order to free up room for more important things is what this is all about. So if you need to do it, write it down! Sort it out. Go through your list and decide what needs to be done daily, what needs to be done weekly and what needs to be done monthly. You may think of more items as you are doing this step, that’s okay. Write them down! The trick is to make this list as thorough as it can be. And my blogging pals, if you are like me and you like things neat, here is a fancy printable (ha, you knew that was coming…right!) for you to list it all out. Protect it. 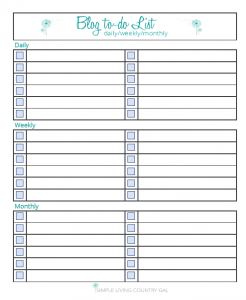 The next simple step is to put your completed list in a page protector. That way you can check items off each day with a highlighter and erase when completed. Get it on your calendar. To take things even one step further, I will write my weekly and monthly items on my calendar. This extra step is just insurance for me. I like to keep the clutter out of my head and knowing my items are in a spot where they will be seen by me ensures they will all get done. Log your stats. This is the fun part! Log your stats from the day you begin using your sheet and watch your numbers steadily climb. Now you can put all of your focus and creativity into new content and products that you can sell! Working smarter, not harder is the key to becoming a productivity rock star! Get the mundane on autopilot so you can put your focus where it will do the most good. Consistency is key to success in our world, so use this silly simple tip to get the consistency you need to really hit this out of the park. Now if you are ready to get serious and do this. To really get the results you have been searching for. I love your tips! I recently discovered the app Tide and I love using it to keep track of the Pomodoro Technique. It’s excellent for productivity without stress. Thank you for sharing. Yes I just recently heard of the Pomodoro Technique and I can’t wait to try it out! Have you been using it long? I use the Pomodoro Technique most days and love it! I also LOVE your Blogging Planner, Tracy. I’ve been using it every single week. 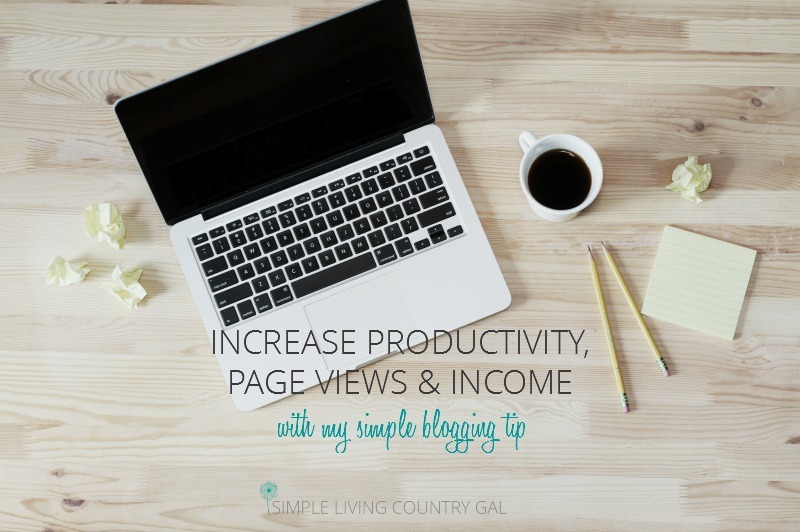 So glad you like the Simple Blogging Planner! Thank you for great blogging tips, am starting a blogging plan too. The timing for me is a major issue, as I write when inspired, so I find it difficult to keep up with the schedule. I am like you and also write when inspired. I tend to do my best writing in the early morning hours so that is what I do! The rest of the day is for more scheduled items. There is a lot of components to blogging and I do better when I can put some of the things on auto pilot. Love your planner! If you’re a blogger do not delay, get Tracy’s system today! I LOVE the idea of having a game plan cheat sheet for the month. I usually start my week off by writing down everything I’d like to accomplish, then go to my whiteboard and divide up the tasks over the days. Although, I don’t really follow any particular method for getting stuff ticked off the list – I usually just do what I feel like in each moment and eventually it all gets done. ps. Love your printables. They are SO helpful. As bloggers, we need this bird’s eye view of everything we have planned to stay on track. just what i needed to see, always looking to improve productivity! Me too! I cannot survive without my planner, really. It totally keeps me on task and keeps the little things from falling through the cracks. Thank you for the reminder! I need to start doing this again. I had a daily/weekly/monthly plan, but haven’t been following it lately.